“Partnership copywriting’ is perfect for impact-driven entrepreneurs and experts who want me to write their copy and create their content. Through this premium service, you’ll get the high-quality, personality rich content you need to grow your business – without having to write it yourself. This is an investment… You must be prepared to commit to a minimum of three months – simply because the more we work together, the deeper our synergy becomes. You see, my core aim is to quickly get to a place where you can ring me with a fresh idea, we’ll chat it through, and then I can crack on and craft it for you. You (and your customers) will feel as though you wrote every word. Why is this ‘partnership’ copywriting? Fact is, I don’t enjoy working with people who are happy to hand over their content and be done with it. For me, content marketing isn’t just about getting ‘stuff’ out there, it’s about carefully expressing your expert message – for maximum impact. Look I’m passionate about really good content. It pains me to see really smart business owners undermining their voice by publishing stuff that isn’t them – or even worse, swiping and deploying someone else’s stuff. Especially when you remember that personality rich content is a huge differentiator. It’s the one thing no one else can copy – and the secret rapport-building ingredient that can draw your perfect customer close and ready to buy. That’s why content mustn’t be begrudgingly tagged onto your to-do list. Instead, it needs focused attention – and a lot of love – to help you build a strong footprint (both on and offline). So while I’ll do 99.9% of the leg work, you still need to be involved – and I want you to be involved. As the custodian of your written message, I don’t want to be making stuff up! Instead, I want to ensure your message is authentic, topical, and bang up to date. I want to be sharing your stories and your insights. I want to ensure your message is filled with your personality. Remember, this is the age of the personal brand, which means WHO YOU ARE is just as important as what you know. And that’s why I’ll want to speak with you and gather your input and ideas on a regular basis. I want to know what’s happening in your world, so I can reflect this in your content and I want to fine-tune my delivery of your voice. 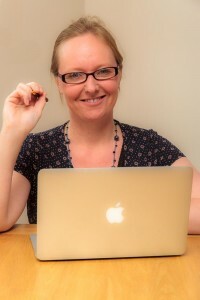 I specialise in content that can help you to boost your expert profile, build your ‘know, like, trust factor’, and drive the connections that can lead to a sale. Due to the intensity of my focus with partnership clients, I only work with a limited number of hand-picked clients at a time. So if you think this could be right for you, let’s have a ‘no-strings’ chat.